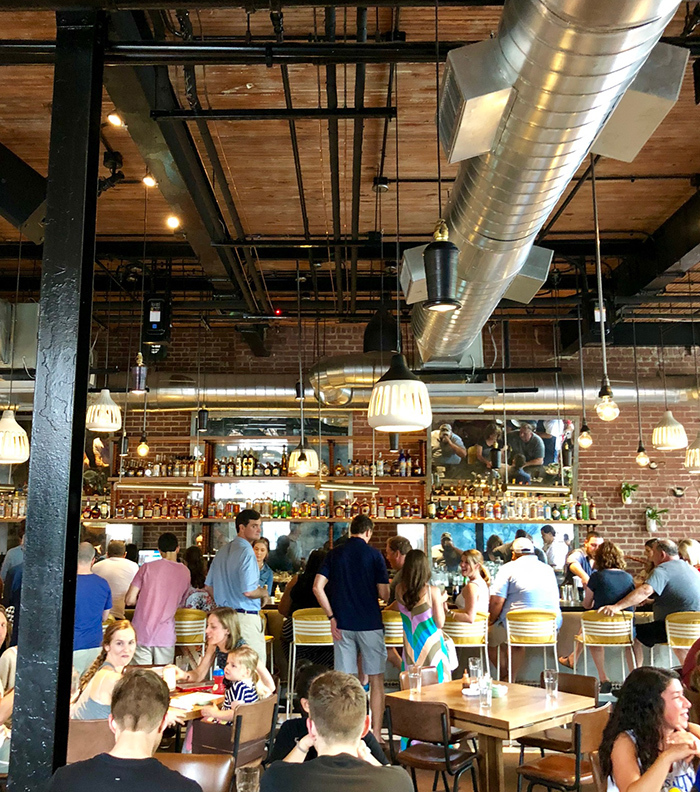 Superica, the new chic Tex-Mex restaurant in South End, is off to hot start, serving over 3,000 guests in its first week. I went last Friday night. Here are 10 quick takeaways from my first visit. Our service was outstanding. Everything felt like it was paced correctly and our waitress was very knowledgable on the menu. (1) At 8 p.m., the bar was three-deep. 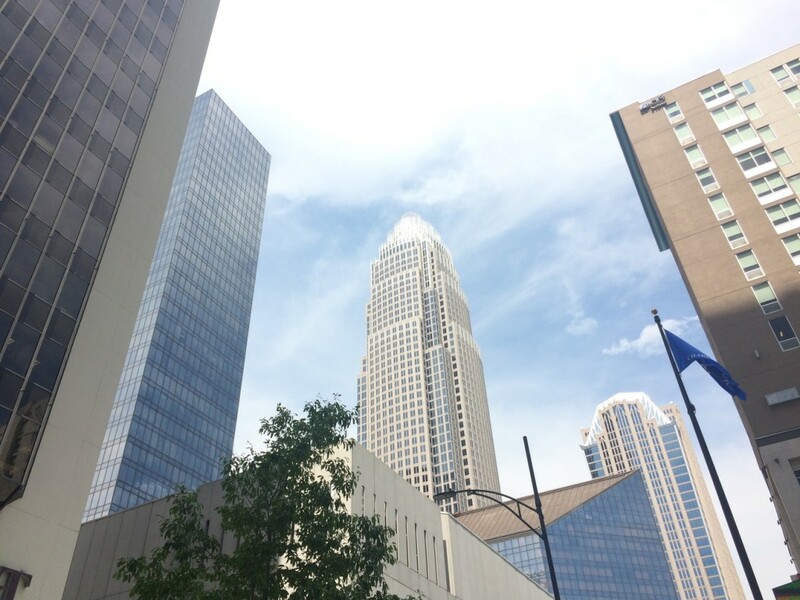 It’s popular and filled with good-looking South End people you’d see in a brochure for Charlotte. Seriously, it’s hot right now. With a sizable bar area, a main dining room and outdoor seating — it’s a massive restaurant. The restaurant is laid back, but well-designed. Even with a huge space, expect a wait for your table on a Thursday, Friday and Saturday night. Bar area at 6:15 p.m. on a Friday evening. 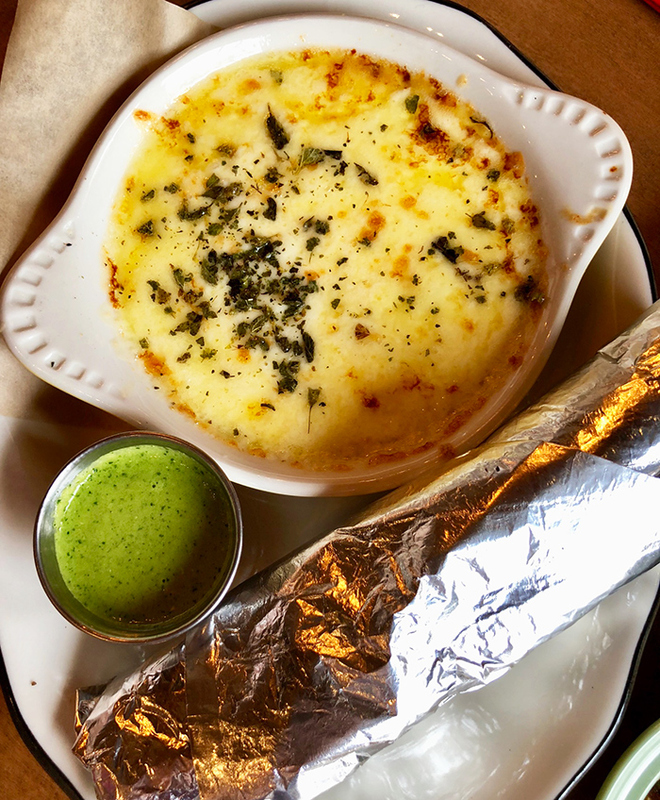 Like an idiot, I forgot to take a picture when it was packed at 8 p.m.
(2) For an appetizer, skip the guacamole and go with the queso fundido – broiled Monterey Jack and Chihuahua cheeses, warm tortillas and salsa cremosa ($10). You’ll also be served chips and two different salsas at your table to start. Yes, you must do an obligatory cheese pull and get it on Instagram. I got it about 3.5 feet in the air and weirded out the surrounding tables. 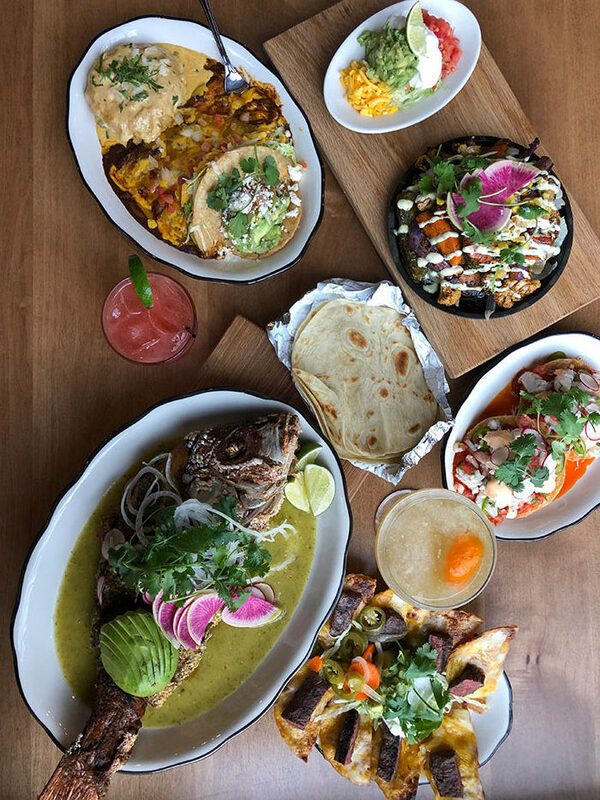 (3) If you’re looking for a different-flavored appetizer to split with the table, order the Campechana de Mariscos – spicy gulf shrimp, octopus, lump crab, fresh avocado, tostadas ($16). 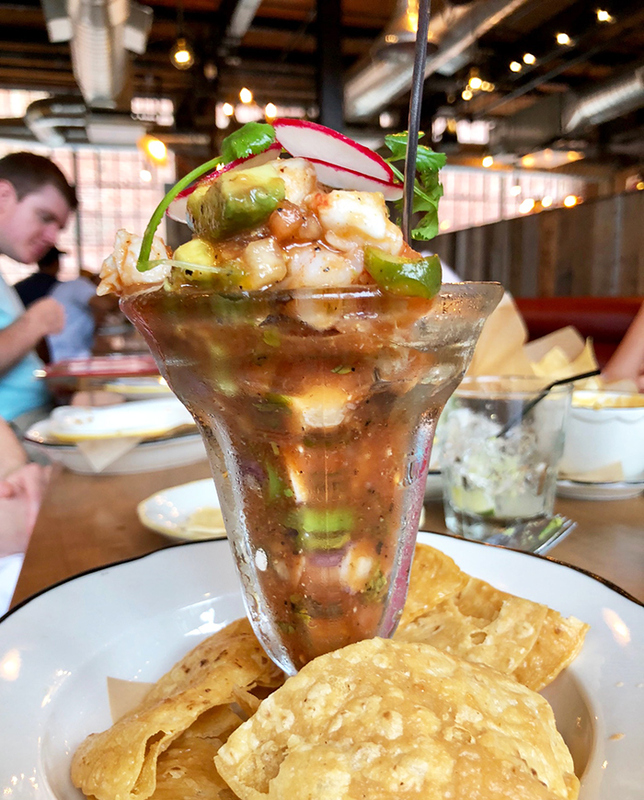 This Tex-Mex seafood cocktail is popular right now in Charlotte according to Superica’s Senior GM Andy Palermo. (4) Superica’s cocktails are outstanding. 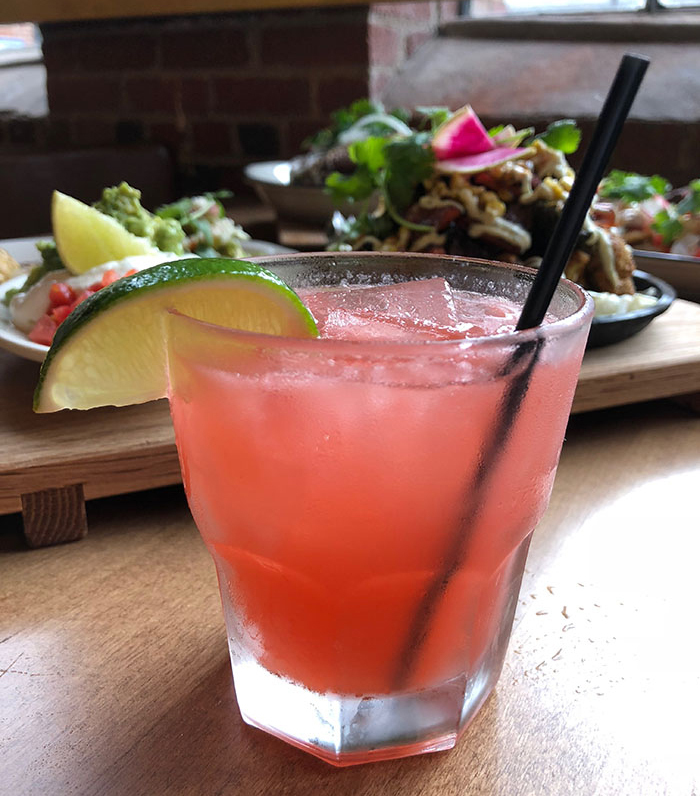 Go with the Matador – El Jimador Blanco, pineapple, lime, cilantro, served up ($10) or the Red Headed Stranger – Deep Eddy Ruby Red Vodka, Campari, fresh grapefruit ($11). If you’re looking for a classic margarita, do The O.G – El Jimador Reposado, Stirrings triple sec, fresh lime, short and strong, served up or on the rocks ($9). (5) Unless you do the $11.99 lunch special, Superica is pricey. Most entrees range from $18-$38, fajitas $20-$28, enchiladas $13-$15 and tacos $13-$16. 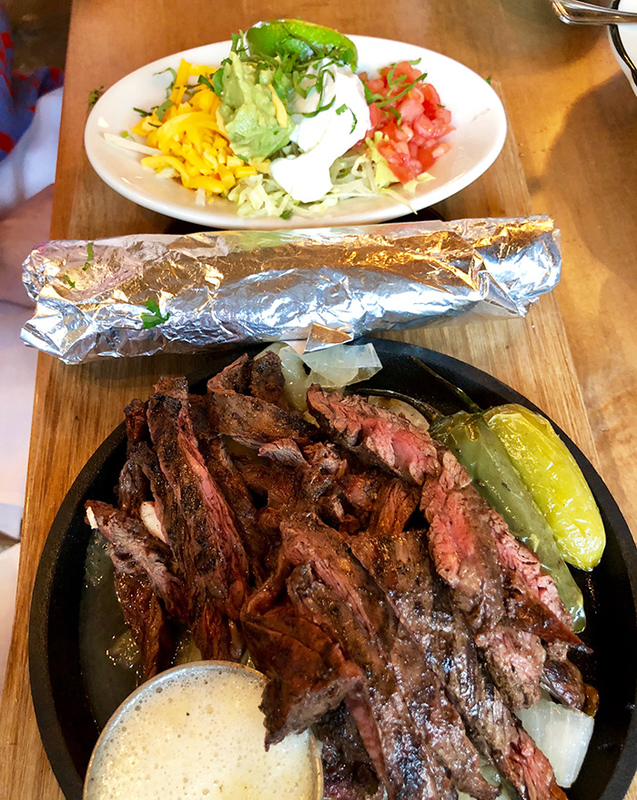 You get it, it’s not a cheap Mexican spot. All dishes are served with rice and refried beans. I freaking loved Superica’s refried beans, but I’m a refried beans guy. I ordered the fajitas. They were solid, but I wish it had other veggies instead of just onions. Next time I go to Superica I’m going to order the enchiladas. 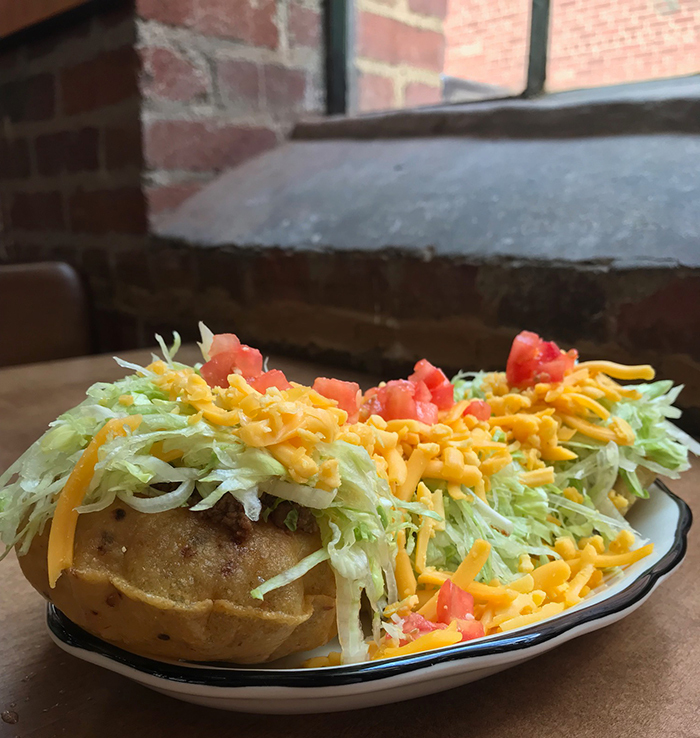 (6) The puffy tacos look crazy. 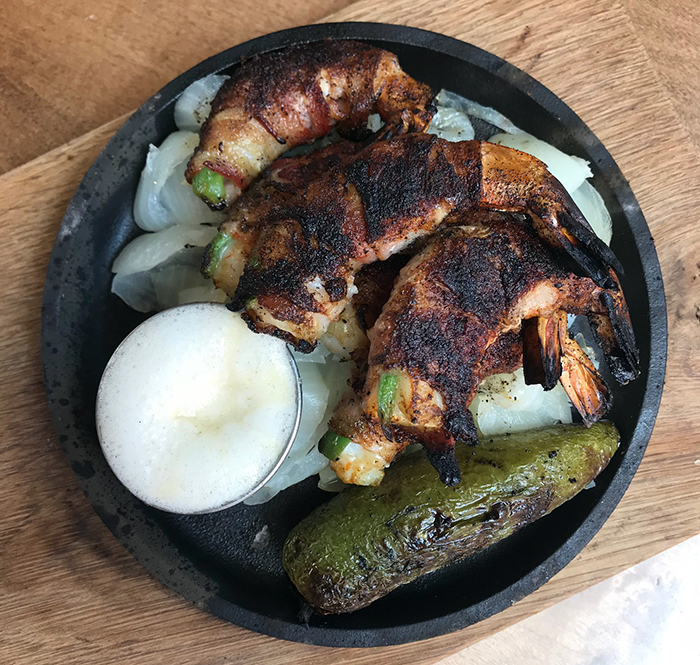 (7) When I asked about any surprising popular dishes here in Charlotte, the Superica team mentioned their Camarones Brochetas – chili spiced gulf shrimp stuffed with jack cheese and jalapeño, wrapped in bacon ($4/each). I never knew we were a shrimp-loving city. Also, how about that frothy Mexican butter that you can pour over your dish? I like it. (8) Superica’s courtyard has so much potential. I’d look for them to do more with this outside space over time. 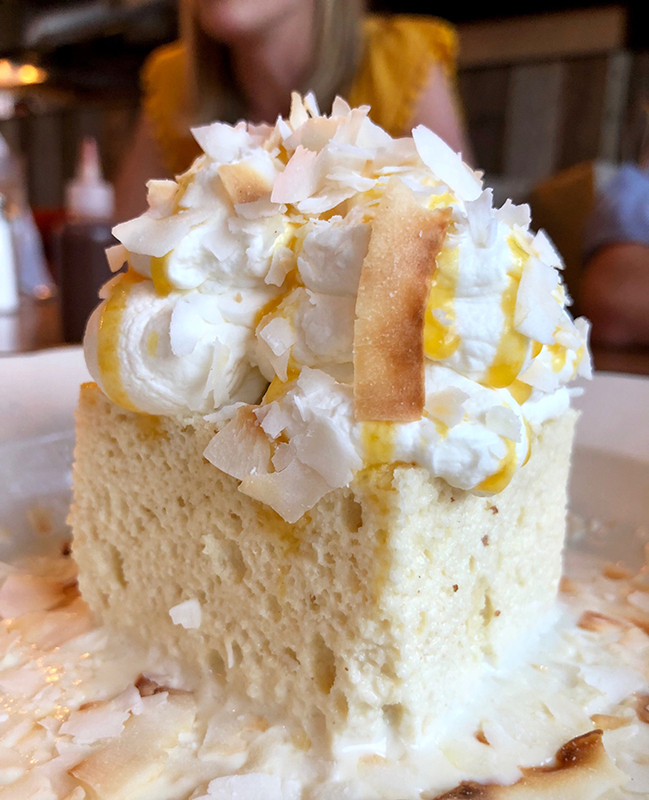 (9) Superica doesn’t post their dessert menu online, but they’ve got it. We went with their popular dulce de leche. 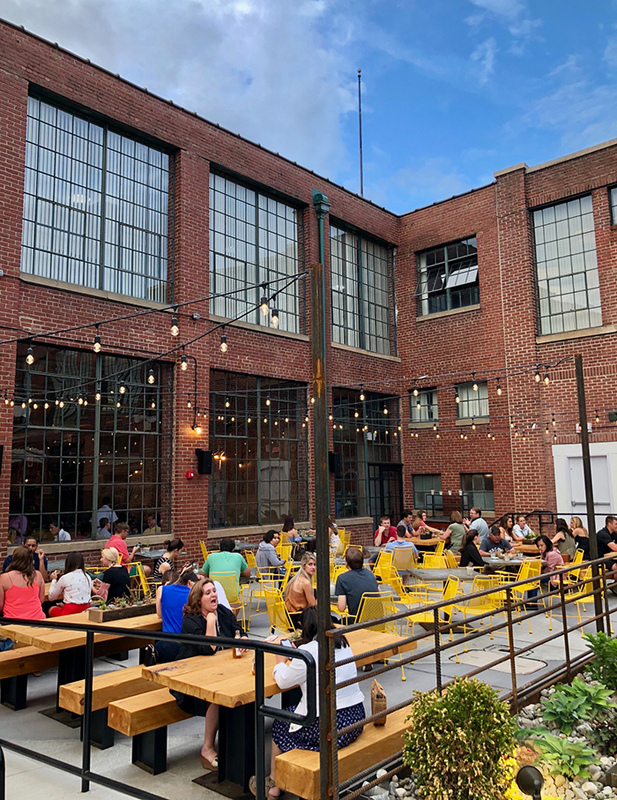 (10) Given its location, you can easily pair a trip to Superica with a short walk to/from Dilworth Tasting Room or Sycamore Brewing. 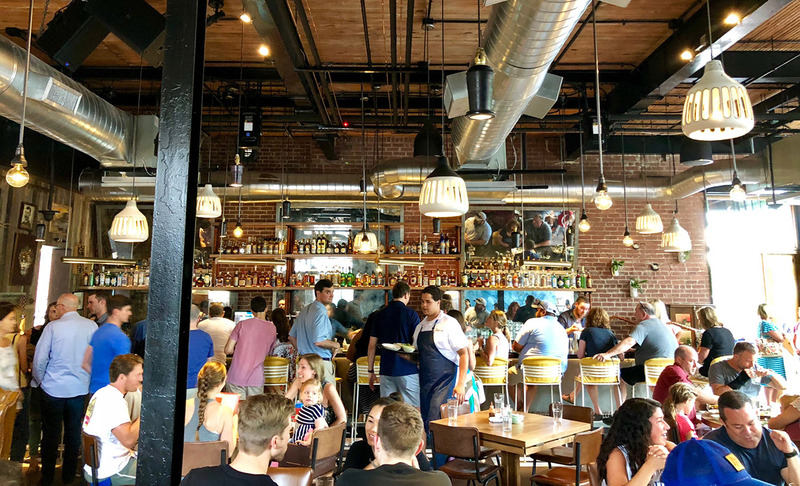 My group did an early dinner at Superica and then popped into Dilworth Tasting Room, Sycamore, and finished the night with a chill beer at Pop The Top. These are all about a five-minute walk from Superica. Oh, and Jeni’s Ice Cream is about 50 yards from Superica. 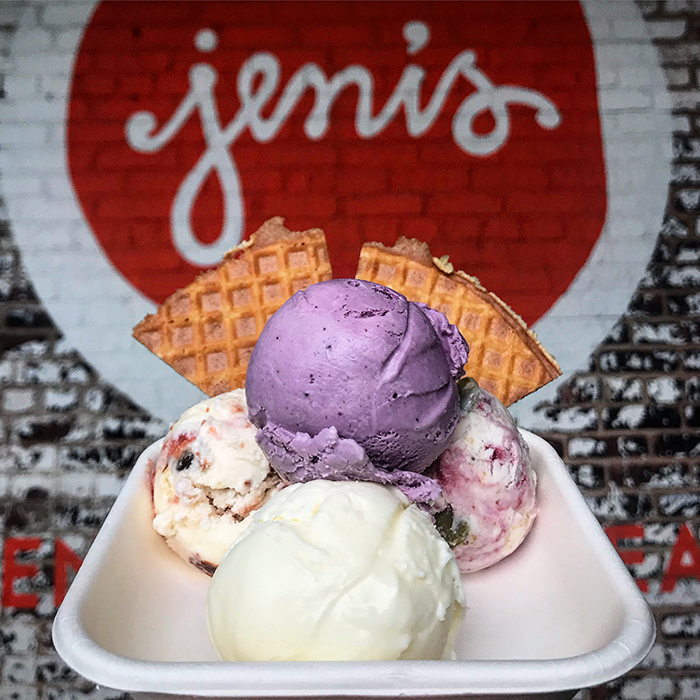 Construction is well underway and once this well-respected ice cream shop opens later this summer — expect Superica followed by Jeni’s to be one of the most popular dinner dates in Charlotte.